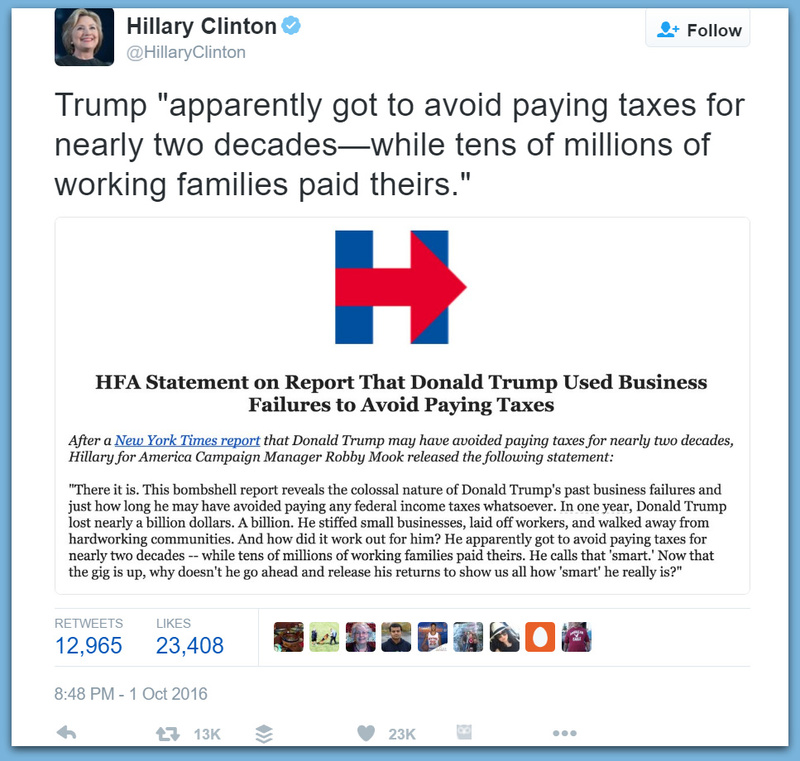 Hillary used the exact same exact tax avoidance as Trump, which is a legal method to carry forward a loss. She’s just a big hypocrite for trying to fault Trump for what she herself did. So what’s the difference? This really goes to show you the majority of her base is on welfare. They have no idea about paying federal income taxes, or how it really works. All they know is they want more free stuff, so you should be paying more taxes for it. Well this is a little awkward. 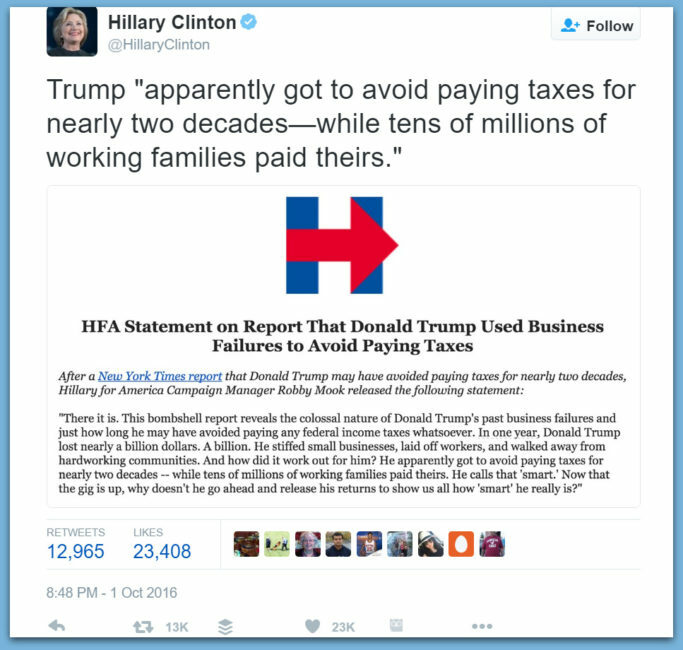 With the leaked 1995 Trump tax returns ‘scandal’ focused on the billionaire’s yuuge “net operating loss” and how it might have ‘legally’ enabled him to pay no taxes for years, we now discover none other than Hillary Rodham Clinton utilized a $700,000 “loss” to avoid paying some taxes in 2015. The Clinton Campaign was quick to jump on the leaked Trump tax filing with Robby Mook tweeting [above].